Carrie Livermore Fischer has been working in the language and localization world for almost three decades now. She is the Internationalization Manager at Subway, the US-based quick-service restaurant (QSR) franchise. Founded in 1965, Subway now has well over 43,000 restaurants in over 100 countries, and the company was named as one of the fastest-growing franchises in the world by Entrepreneur magazine. With a background in French business and translation, Carrie started her career at Transparent Language, a language-learning company based in New Hampshire. From there, she moved to Connecticut to join Hyperion Solutions, where she helped create a localization department that could handle all of Engineering’s globalization needs. After Hyperion Solutions was bought up by Oracle, Carrie stayed on and learned how a large corporation manages all of its globalization requirements. After 14 years with Hyperion/Oracle, she relocated again, this time to Boise, Idaho, to take on the role of Localization Program Manager at Bodybuilding.com. Then, in 2017, she accepted the opportunity to join Subway in her current position. 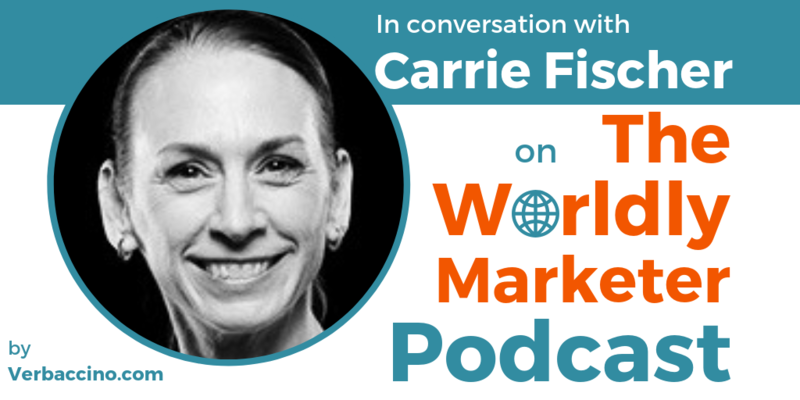 I had a chance to chat with Carrie in advance of the upcoming LocWorld38 conference in Seattle, where she will be co-presenting with Jaime Punishill, CMO at Lionbridge.